Имате въпрос към Hotel 99 Cubao? Сгушен в сърцето на Кезон Сити, Hotel 99 е идеалното място, от което можете да започнете Вашето приключение в Манила. Хотелът не е далеч от центъра на града - намира се само на 10.3 km от него, а до летището се стига за около 25 минути. С удобното си местоположение хотелът предлага лесен достъп до всички градски забележителности, които задължително трябва да се видят. Възползвайте се от богатството на ненадминатите услуги и удобства в Манила. Хотелът предлага достъп до широк спектър от услуги като 24-часов рум-сервиз, безплатен WiFi достъп във всички стаи, ежедневно почистване, 24-часова рецепция, Wi-Fi връзка в общите части. Хотелът се характеризира с 120 стилно обзаведени стаи за гости, в някои от които ще намерите телевизор с плосък екран, безжичен интернет достъп (безплатен), стаи за непушачи, климатик, телефон. Освен това в хотела можете да се възползвате от множество предложения за приятно прекарване на свободното време. Hotel 99 е добър избор за всички посетители на Манила, защото предлага спокойствие и безпроблемен престой. Hotel 99 are the properties which you will not hesitate nor regret if sometimes rates are higher than expected the rooms are nice and well arranged yet for me all room should have the option of illuminating the room well in terms of lightings 'coz not all the time low beams are used and shoul be for me have extra space for luggage a place to hang a dress also inside the bathroom must have small shelves under the mirror to organize hygienic items. And take note in all rooms i checked in shower towel holders are installed upside down and should be re installed. The room looks clean but for some reason, there are cockroaches in our room. The worst thing that happened was when we ordered breakfast and it took 2hrs for the staff to serve it in our room not to mention that I find it rude when I called 3x to follow up for our order and the frontdesk seems always in a hurry to hang up the phone. Plus when we requested for a coffee from the beginning of our call, our order arrived in our room without it.... I can stand the cockroaches in our room but the kind of service that they're giving to us during our stay is really awful. Very affordable, good for travelers who have tight budget. Thank you for taking time to review our property. We will be hoping for your next visit. Thank you for your feedback. We will be hoping for your next visit. Thank you for staying with us and taking time to review our property. Thank you for staying with us. We apologize for any inconvenience caused. We stayed here for one night to catch a bus the next day. It is a 10 minute walk from many main bus stations and was a great mid-level hotel. Everything was clean and the facilities worked nicely. Thank you for taking the time to review our property. We will be hoping for your next visit. Location wise, it is not safe that you stay out even at 8 pm. Food is unsatisfactory. We ordered sisig and we were served with sizzling pork fats. Electricity is unstable too! Room always smells like cigarettes! Overall, it is the worst I have encountered in hotels. First and foremost, I would like to apologize for your bad experience during your stayed. Secondly, I would like to thank you for bringing this matter up to management's attention. We value comments, even complaints like this, as they make us aware of our shortcomings and improvement areas. Again, my sincerest apologies,. . We will solve this issue to management. 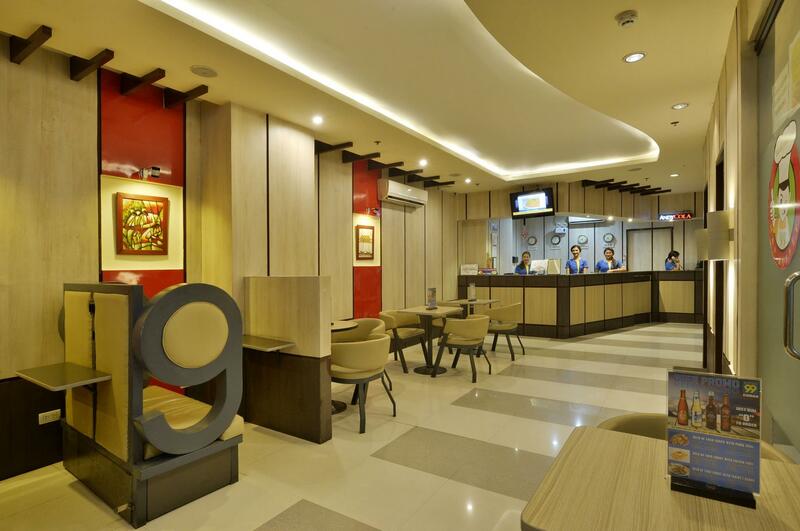 If you are looking for a place near Smart Araneta Coliseum then this place is ok. Very convenient. Just a mere 300-m walk to the coliseum. Nearby 7/11 convenience stores. Nearby restaurants as well. Free breakfast is not really that good. Wifi is fast. Would reco this place to fuss-free travellers looking for a cheap place to stay. The price was ok but the room was too small. The bathroom smelled really awful. No hook on the bathroom.The food was great though. The staffs were attentive. The PC was not working. I will not come back here. It was a worst hotel. From the staffs to the management level they are all disrectful. No policy disclosed. Very sub and low standard. Please do not stay or even think to go there. They served spolied food. Lots of cockroaches roaming aroung the room. They tried to open my room in the middle of the night and said ROOM CHECK? The turth is when you open the door or you leave it unsecured they will rob you. I booked my brother in this hotel for three days. Wifi was also poor. I called from abroad and spoken to one of the personnels...hmmm... I think you need to hire someone who knows how to answer the phone in a right way and not just... HELLLO. The rooms were smaller than I thought from the photos on Agoda, and the hotel was more low-end than I had imagined. The prices are a lot cheaper if you just walk in off the street. I think I saw a sign that said weekday overnight stays for 299 pesos (like $8 US). I paid triple that. It was clean and the staff were friendly and helpful. If you arrive late at night, this neighbourhood is very scary. No so bad during the daytime. They are offering a room with a broken toilet flush. Thank you for taking the time to review our property. We apologize for any inconvenience caused. We will solve this issue to management. typical short stay hotel - mostly for couples who want to have some "privacy" You get what u paid for.. I think its better than SOGO Hotel for budget economy rooms. Free food and much colder ACU.